NASCO PROPANE has been serving the Northern Ontario Region for decades. We specialize in industrial installations, commercial solutions, home and cottage heat, cylinder fill-ups, sales of accessories and appliance, propane vehicle conversions and training. Newterra is opening up new possibilities for decentralized water treatment with redeployable systems. Our modular “plug & play” solutions can be located virtually anywhere and be scaled up and down in parallel with capacity requirements. For subdivisions, for resorts, for remote work camps – wherever a decentralized solutions is required. Since the electrification of mines, our core business has been powering mining operations. Surface or Underground – Nexans has a cable productivity solution for you. As the leading producer of mining cables in North America, Nexans delivers outstanding value, customer service and engineering support. 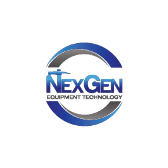 NexGen Equipment Technology is a heavy equipment repair and rebuild shop catering mainly, but not restricted to, the underground mining industry. We can customize, upgrade or redesign virtually any piece of mobile heavy equipment. 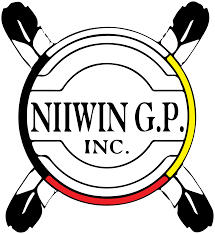 Since its inception in 2014, Niiwin has grown into a fully functioning Mining Services Contractor. Our initial Resources Development Agreement with Goldcorp has allowed us to provide full time employment to First Nations Community Members and non-Community Members, as well as training opportunities to increase employability to all. Niiwin has experienced a tremendous amount of growth in a short period of time, becoming Goldcorp’s third largest contractor, providing services in 2017. WE look forward to expanding our services to other Mining Companies in the Timmins area, and are actively pursuing those opportunities. Nilex provides innovative solutions to support the unique requirements of mine site development and reclamation – solutions that enhance value, maximize return on investment, and reduce overall project costs. NORCAT is a leading, non-profit organization that provides instructor-lead, e-Learning and equipment simulation training for the mining industry to reduce injuries, save lives, and enhance productivity in the workplace. Nordmin Group of Companies has become a leading multi-disciplined Engineering Consulting firm with offices in Thunder Bay, Sudbury, Kamloops, and Salt Lake City which supports Mining, Power Generation, Instrumentation, Pulp and Paper efforts, as well as full EPCM solutions to the industry around the world. North/South Consultants Inc. are aquatic environment specialists who conduct reviews of license applications and designs, and carry out environmental impact assessments and environmental monitoring on behalf of mining sector clients.